So at this time of year thoughts turn back to fitness and how to work off the excess blubber caused by the festive season. And one way to give yourself a short sharp shock is to try on some skin tight lycra fitness wear....eeek! Rewind a few years and imagine people working out in a gym, or a group of joggers on the street (me included) ...no doubt we'd all be wearing big and baggy jogging bottoms and T-shirts, billowing around us like huge tents. Why so much fabric? Well, 'to let air circulate' ....with the added advantage of hiding all your wobbly bits. Fast forward a few years and we're all supposed to be wearing skin tight leggings and tops made from hi-tech fabric, that do miraculous things like 'wick away moisture'....well if these garments can 'wick away' the rivers of sweat I produce during a HIIT session then they are indeed miraculous! In addition to 'wicking away moisture' compression garments are supposed to help prevent muscle soreness and fatigue, both during and after a workout. The reasoning behind that claim is increased pressure over the muscles triggers a higher blood flow, carrying more oxygen to the muscles and removing waste products and lactic acid. Anything that helps prevent the thigh burn of a hill sprint has got to be a good thing! Never one to shy away from an excuse to buy clothing, I thought I'd test the theory. I checked out various leading brands including Skins and Under Armour. Good grief! £40 for a top, £65 for a pair of leggings?! I work out 5 times a week, unless I'm going to do laundry every day I need more than one set of workout clothes, and those prices are way beyond my budget. A decent sports bra is a worthwhile investment, but I can't justify spending that amount of money on numerous items of workout gear. and couple of pairs of capri pant leggings at £7 each. At that price they're worth a try! Skin Climate - Optimal body temperature in any weather. 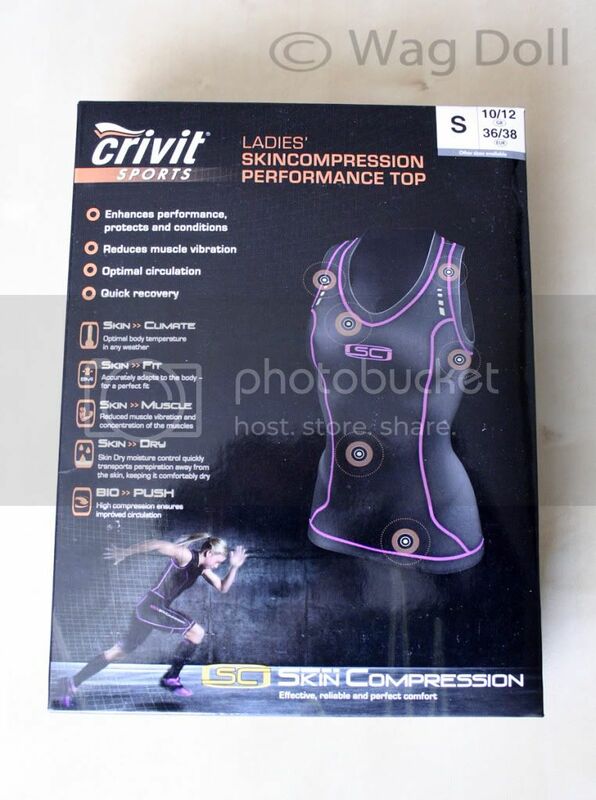 Skin Fit - Accurately adapts to the body for a perfect fit. Skin Muscle - Reduced muscle vibration and concentration of the muscles. Skin Dry - Moisture control quickly transports perspiration away from the skin, keeping it comfortably dry. Bio Push - High compression ensures improved circulation. I've worn the compression gear a good few times now, both for high intensity bodyweight workouts and also for cardio work and running, and how have they fared? Well I'm a woman of extremes, I really feel the cold...but when I workout I rapidly get hot and overheat. For such thin fabric they keep me warm at the start of a workout, and make me feel cool when I'm sweating. They do indeed 'wick away moisture'...I just love that phrase! The clothes are tight but not restrictive, and I like the support they give especially to the old jiggly bits. A great advantage is they stay put, they don't ride up and you don't have to keep pulling and adjusting them. The only negative I've found is the seam running right up the middle of the....'ahem' .... pants, not so much a problem for me because my workouts are quick, but maybe a long distance runner wearing them for hours might experience some ...'errr'...chafing?! The more expensive brands don't have this seam and are made out of a single piece of fabric for the front and back. Both the top and pants have been through the wash numerous times (and tumble drier eek! )...yes I know you shouldn't dry 'sophisticated' fabrics but they occasionally sneak in there amongst the other bits of laundry. I've found they wash really well and have kept their shape. There is an art to getting in and out of compression clothing, for the leggings treat them like tights and 'roll' them on and up your legs. The top....well just do your best contortionist impression and think of it as a free Yoga workout! But have the compression garments enhanced my performance and lived up to the scientific claims? Well that's too hard to quantify. Maybe at elite pro level where every nano second counts, then the slight advantage they might give you is worth it. I doubt they make much difference to someone at my level who just wants to tone up and get fit. But for comfort, flexibility and being able to keep me both warm and cool I'm a fan, especially at bargain prices. One thing's for sure, I'm glad I didn't buy the expensive brands! Another great and informative post, good to see that this stuff comes in useful and doesn't have to cost the earth! I've found that lots of workout stuff that is more appropriate for athletes is marketed towards your average joe, but good to see that some of it actually comes in useful, and for that price it seems well worth it to me! Once again i'm amazed with your writing talents... Another fantastic post Wag Doll!!! Compression shorts are specialty athletic apparel used to create separation between the groin muscles and the hamstrings and you have given really a nice compression apparel,I must say. 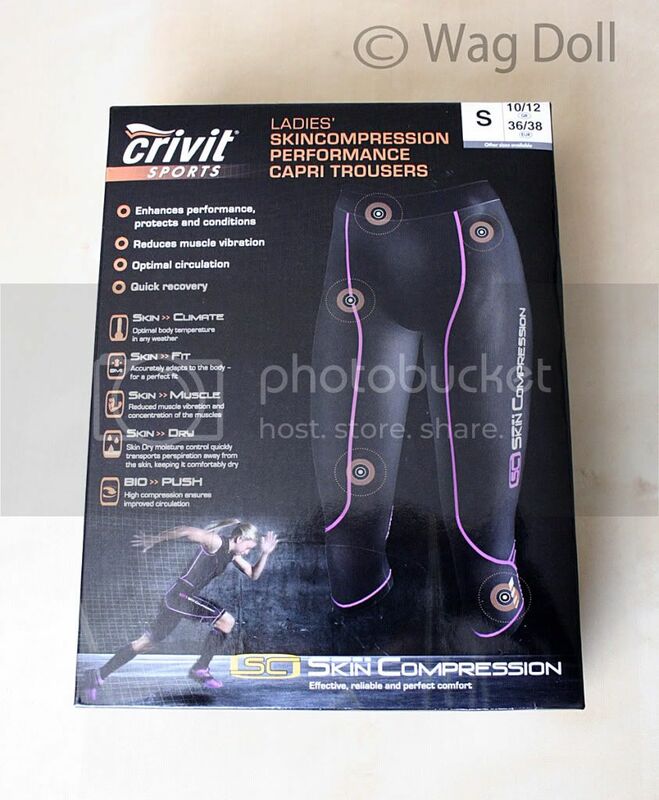 I am amazing about compression-wear.it also comprises a lot of useful fact- Thanks for valuable informative information.Really enjoyed reading it.Please visit my gymwear page and please leave comments. Wow ! you are making nice bodyfitenss I get more tips with my expectation.Thanks for sharing if you want same inform please check my page bodybuilding canada store. I am amazing about your nice blog. It's also inspires me a lot of- really gives me an insight on this fitness clothes topic.